What is a better than a porta potty at a wedding? A deluxe restroom trailer! Deluxe has 2 Private Mobile Restroom Suites with 2 Stalls. 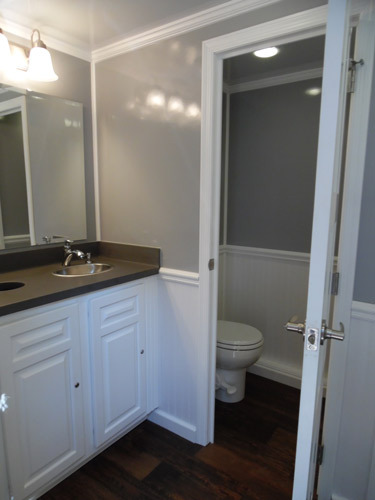 This bathroom offers heat, air conditioning, running water, flush toilets PLUS additional amenities. Stereo system, exterior courtesy lighting, and much more. The Deluxe is a high-end unit finished with woodgrain floor, recessed lighting, crown molding, wainscoting and more. 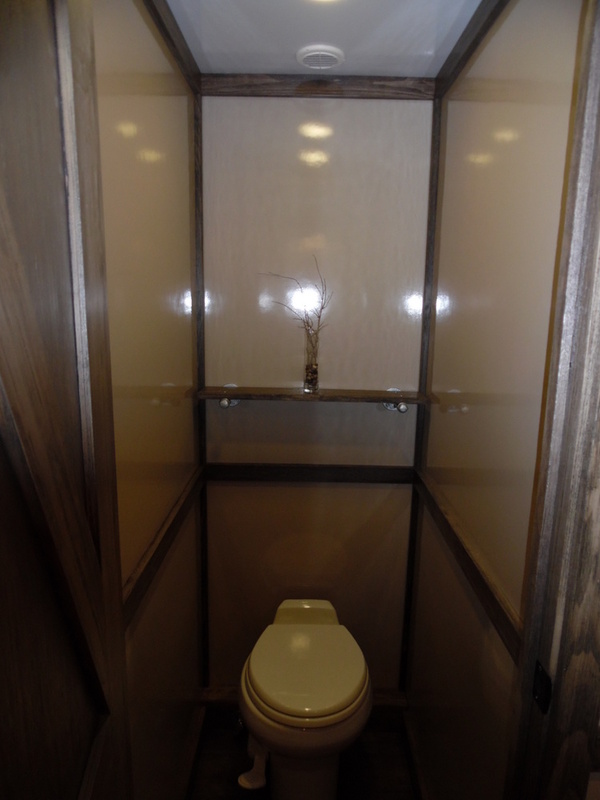 Spacious suite with 2 private toilet stalls, a sink, vanity and mirror. One private stall with a toilet, one urinal in a private cove, a sink and mirror/vanity. 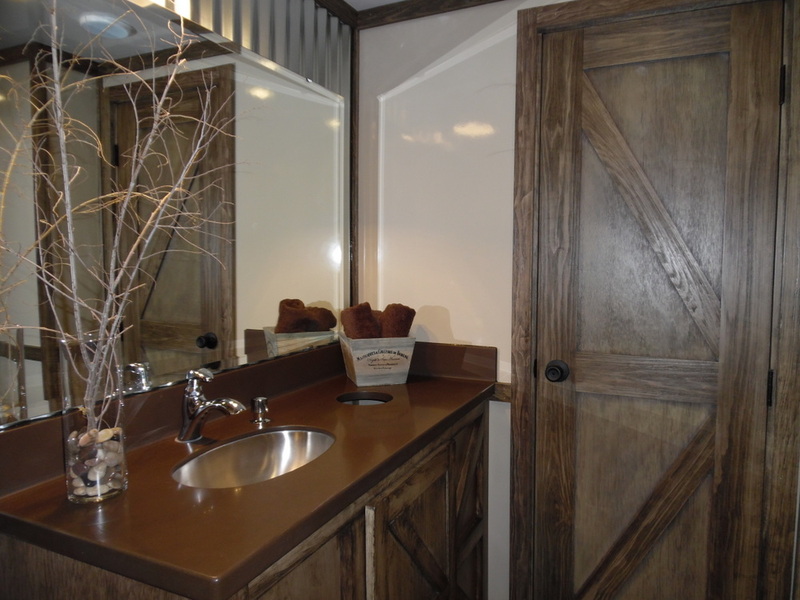 Country Charm has 2 Private Mobile Restroom Suites with 2 Stalls. This restroom offers heat, air conditioning, running water, flush toilets PLUS additional amenities. 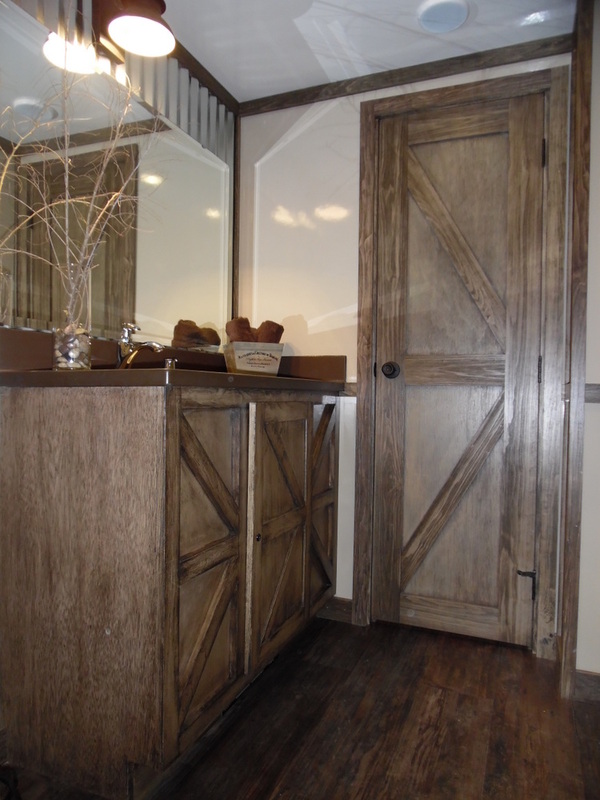 The Country Charm is finished with a rustic barn wood interior, woodgrain plank floors, dark brown granite countertops and other rustic touches. It has an upscale yet rustic feel. Spacious bathroom suite with 2 private toilet stalls, a sink, vanity and mirror. Platinum has 2 Private Mobile Restroom Suites with 2 Stalls. The Platinum is a high-end unit finished with woodgrain floor, recessed lighting, crown molding, and more. 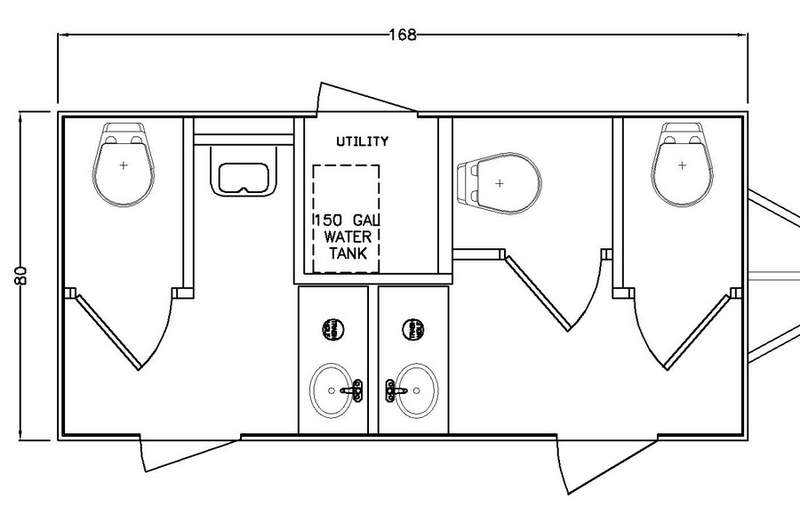 LOOKING FOR A DIFFERENT SIZE PORTABLE RESTROOM TRAILER? 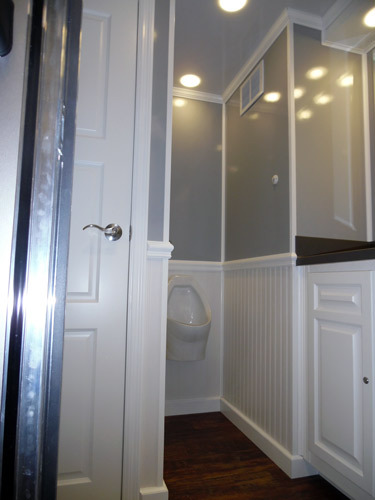 Check out our other styles of mobile restroom trailers with 2 single suites or 3 single suites. We deliver our portable restroom trailer rentals to Maryland and Delaware.